We are a bit different from the other resorts in this area. We ensure we don’t let you feel at home but we work hard to ensure that you don’t feel as if you are staying in a hotel! We are in the interiors of the forest area. The road leading to our resort would make you feel that you have entered within the forest area. When you are in wilderness you would love to be surrounded by wildlife and forest..bumpy roads with pot holes, or else why leave city. The way to resort would really make you feel, your forest adventure has started! A jungle camp resort offers you a concept living life style. 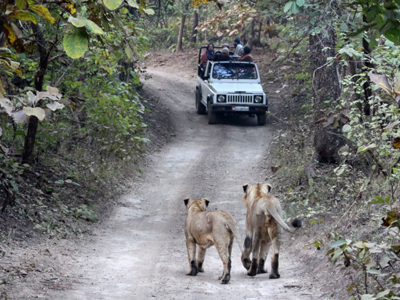 Wild life living facility has basic facilities and not much luxury. 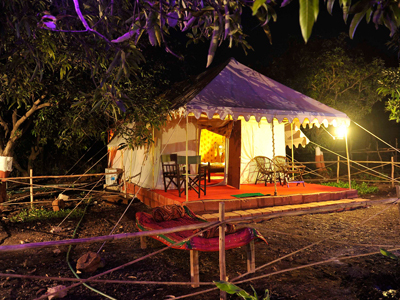 Living amidst the wild life & in the interior of a jungle has its own limitations too! We love to offer you this real and practical living experience! 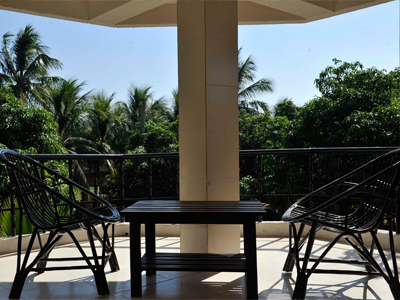 We have rooms with balcony’s to give you privacy and drink the nature in peace with your eyes !! When you are in the middle of a sanctuary, who wants to be in the room? Our balcony is as big as a room and when you sit with your cup of coffee or tea, we promise you a morning and a taste never felt before! We are actually an integrated farm house with a portion converted into a Resort! 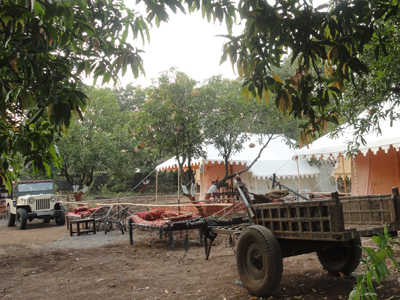 We have a blend 10 Swiss Tents, 10 rooms and a Tree house! We are self-sufficient for our major requirement of dairy products, crops, fruits & vegetables! We also grow ground-nuts, sugarcane, wheat, & pulses like grams & maize. We grow our own onions, potatoes, tomatoes, garlic, cabbage, cauliflower, brinjal, carrot, radish, beans, beet, jain potato, jain garlic etc. Our fruits like Kesar mango, jambu, chikoo, sour lime, coconut, banana, grapes, papaya are very popular for our visitors.